Theodore Cox received his A.B. from the University of Michigan in 1917. He joined the army before returning to the University of Virginia School of Law, from which he graduated in 1922. Cox joined the faculty of the William & Mary School of Jurisprudence in 1930 and became dean in 1932. He took a leave of absence from 1942-1946 to serve as a lieutenant-colonel in the army. Dudley Woodbridge served as the acting dean in his absence. 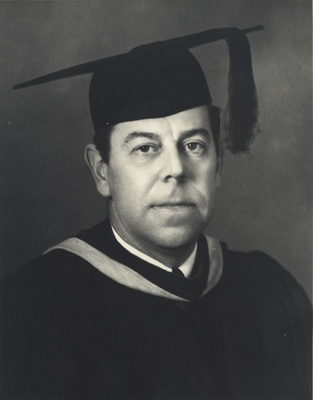 In the fall of 1946 Theodore Cox returned to his post as Dean of the School of Jurisprudence and held this position until his death in May 1947. Theodore Cox's publications are available here.